1) From a low lunge, drop your back knee (the left knee, in this case) to the mat. If your knee is sensitive, you can place a blanket under your knee or double up your yoga mat for more cushioning. 2) Bring your hands onto your right knee and your right knee directly over your right ankle. 3) Inhale and raise your arms above your head, keeping the arms in line with your ears. 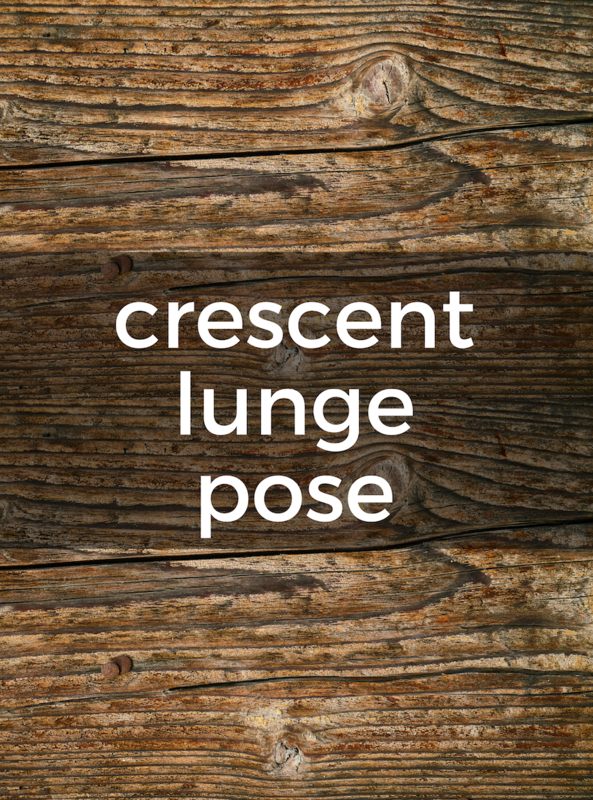 4) Exhale and deepen forward into the lunge, bending the right knee more if possible. In most yoga poses with a bent front knee, you should be careful not to bring your knee in front of your ankle since that is a vulnerable position for the knee. Anjaneyasana is an exception because the body’s weight is being supported by having the back knee on the floor. 5) You may take the spine into a back bend if that feels comfortable. 6) Inhale to bring the front knee back over the ankle. Deepen the front knee slowly, being mindful of any pain in the knee. Back off if you feel pain. Keep the back foot straight.